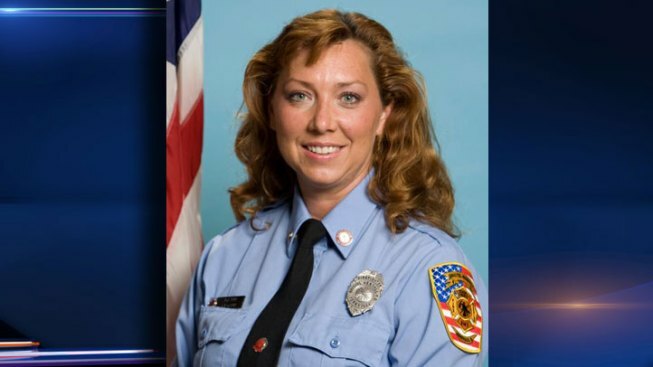 A far west suburban firefighter and paramedic who was found dead in her home died as a result of an attack by one of her own dogs, the Kane County sheriff’s office said Wednesday. Dawn Brown, 44, of the 400 block of Jefferson Street in Big Rock, was found dead by her husband at the bottom of the stairs in her home Monday afternoon. The paramedics who responded were her co-workers. "It's just heartbreaking," said neighbor Mark Hake. "We would see them walking their dogs through town. [They were] very nice people." Brown and her husband had three dogs; a mastiff, boxer and a pit bull mix breed. It was the 140-pound mastiff who attacked her, officials said. It's not known what provoked the animal to attack, but Kane County Animal Control now has all three dogs in their custody. The Mastiff was new to the home and was given to the couple by a family member about a week ago. Brown was a full-time firefighter/paramedic for the Bristol Kendal Fire Protection District and a part-time paramedic for the Big Rock Fire Protection District. Her colleagues at Big Rock were too distraught to speak publicly about Brown on Wednesday. Bunting hung around her photo at Station One, at 103 Beaver St., in Yorkville. A memorial service has been scheduled for Saturday at 11 a.m. in Big Rock.